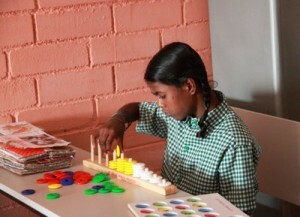 Velugu is a P + UP & Sec/H.Sec school and the curriculum follows designated guidelines. The primary language of instruction is Telugu, secondary is English. 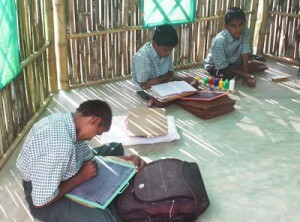 The teaching staff is specially trained for educating in specific areas such as mental retardation, deafness and loco motor disability (multiple disabilities). The present student-teacher ratio is 10:1. 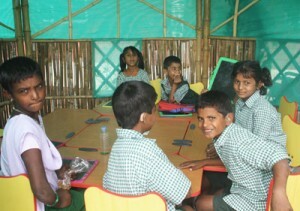 We have different classroom structures for different groups of students, ranging from regular classroom configuration with desks, benches and blackboards, to nursery table arrangement, and open classrooms under bamboo huts. Learning aids are fundamental requirements in special education and we ensure adequate number of devices for simultaneous use. 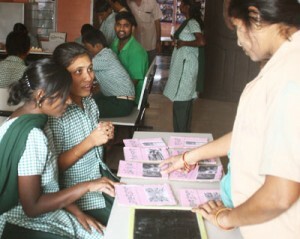 Students are fully engaged in learning activities during learning time. Books are provided free of cost. Visual charts and other teaching aids are used extensively. 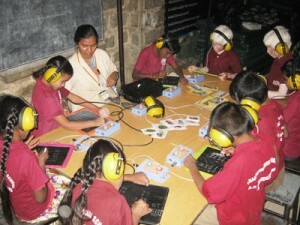 Special lab for classroom activity has provision for group hearing aid. In addition, each child is empowered with an individual hearing device. 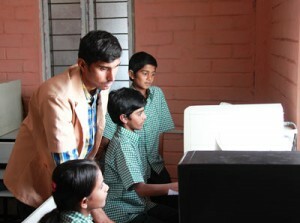 Equipped with 4 computers and a full time computer teacher. Facilities are yet to be streamlined. Due to financial constraints, the facility is planned but not yet started.